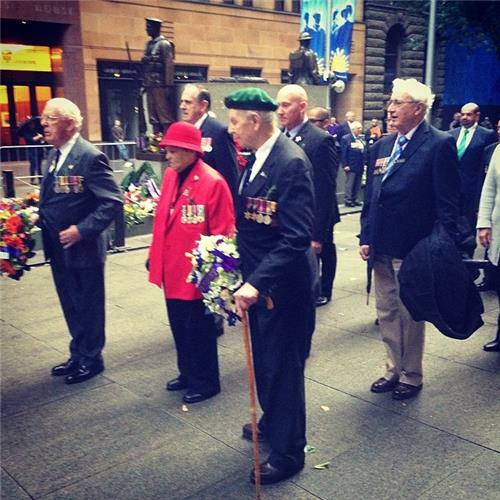 Sydney Shop Girl: ANZAC Day Reflections. As we approach the centenary of ANZAC Day in 2015, there has been vigorous debate in the media and in parliament about how we should be both commemorating the day and what the spirit of ANZAC Day should be. There are some who feel that clinging to the past neglects the changing face of the men and women of the defence forces in the present day, that the commemorations should be more "culturally sensitive and inclusive". Others feel that attempts to 'modernize' the ANZAC spirit have basically been a way to commercialise a day of reflection, rendering the term ANZAC to nothing more than an emotive sales pitch. The fact that we are all so passionate about the should and should nots of ANZAC Day speaks more to me than the need to find the right or wrong way to observe ANZAC Day in the future. It means that ANZAC Day holds a firm place in the heart of Australians from all generations and walks of life, whether they be veterans or not. In this land of freedom that the ANZACs fought so bravely for, there should be room for all of us to remember and never forget in a way that we each see as respectful. To me, each ANZAC Day encourages me to look at the aftermath of war from a different perspective. As the threatened federal budget from hell draws near, I wonder what will happen to the elderly veterans in the midst of the funding crisis for aged care services in general. Costs are rising but funds allocated to the sector are not. We have definitely not forgotten but will we continue to care for those who fought for the lives we enjoy today?